If you like great song writing and some really good music check them out . 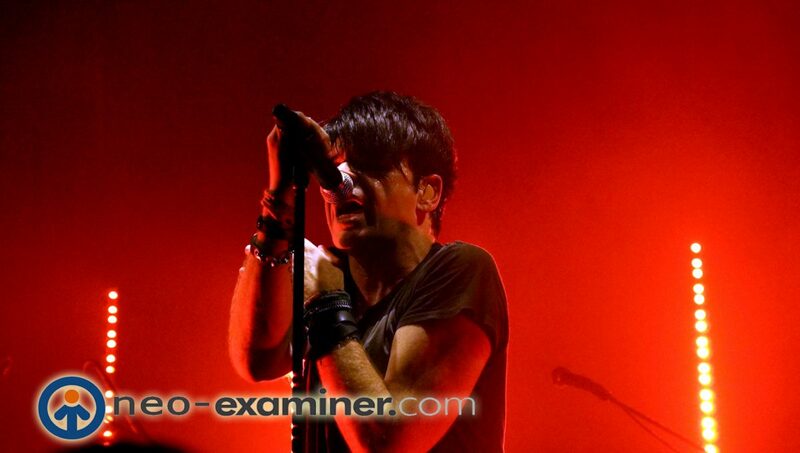 Five Reasons You Must See Gary Numan Live In Concert ! In honor of the triumphant return of Gary Numan to the US for the second leg of his tour , we decided to list the the five best reasons to see Gary Numan. The godfather of electronic music , who was one of the innovators and pioneers of the genre and made it radio friendly with hits such as ” Cars ” among others will make you time travel back to your youth. The 1980’s were a rebirth of imagination and innovation at which Gary Numan , Thomas Dolby and Eddie Grant were at the forefront of the movement. It was a fun time and the music reflected it and for the price of a concert ticket you can travel back in time. 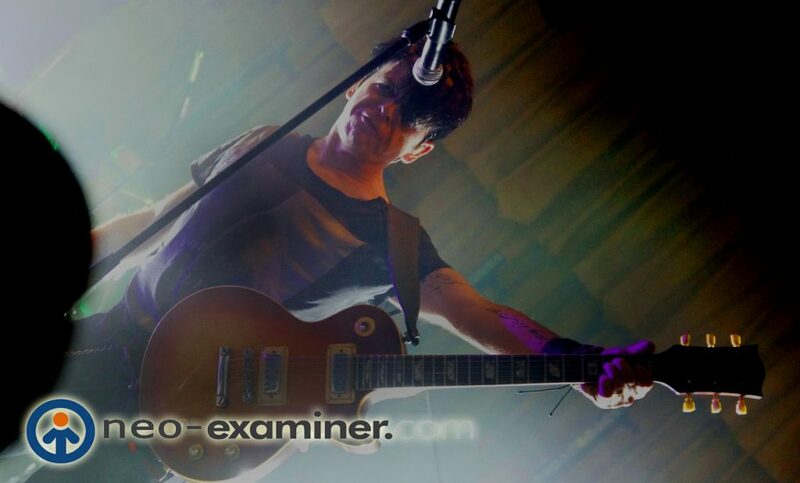 The new album from Gary Numan ” Savage ” ( Songs From A Broken World ) is a renaissance of sorts . 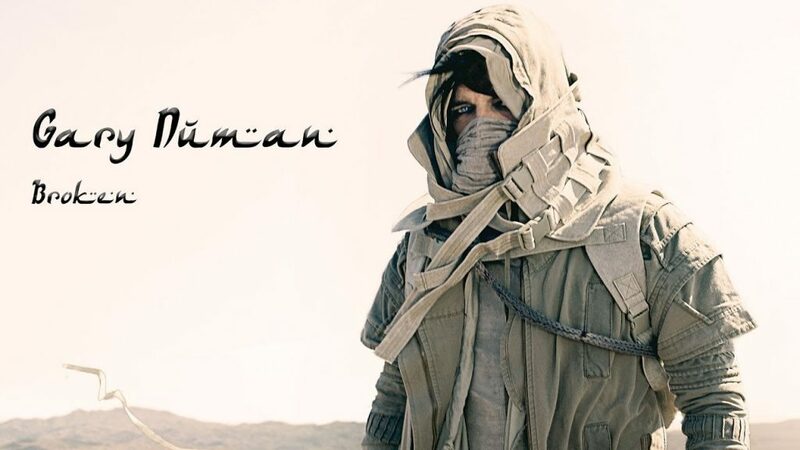 Following the album’s release, it was revealed that, in spite of it being predominantly recorded with electronic instruments, it had been excluded from Billboard‘s dance/electronic music chart, with an executive from Billboard advising BMG that “Sonically, the Numan album just does not fit in” with Billboard’s perception of electronic dance music. The Billboard dance/electronic chart’s number one position for September 15 was held by Calvin Harris, whose album, Funk Wav Bounces Vol. 1, sold approximately 600 fewer copies than Savage. That is the definition of irony , an artist who started the genre is now excluded from it. That is like Metallica being told they are too heavy or not heavy enough to be heavy metal artist. Before the last tour on Gary’s official website he offered a chance to sit in on rehearsals for the day , not just a two second photo op but for a full day . In addition one of my friends did his meet and greet back in 2014 and said he was one of the nicest people to hang out with , not just shake hands. Gary has influenced and worked with some of the best and most original artists around . The video of him with Nine Inch Nails doing ” Cars ” was outstanding . His friendship with other 80’s icons such as Adam Ant is the stuff of legend with videos of them performing together all over then net . To be honest the first time I saw Gary in concert I was not a die hard fan .At best I was a fan of one song but heck it was something to do .I was immediately blown away within minutes of him hitting the stage.In the thousands of bands I seen perform live he is now in the top ten. The songs , the musical talent , the creative melodies and the raw emotions are put on stage for everyone to witness and not just to witness ,to become part of it . After the show I immediately ordered his entire back catalog to find out what I have been missing all these years . What you have here is a genuine artist that matures and changes like we all do over time. 09/08 – San Antonio, TX @ Paper Tiger. 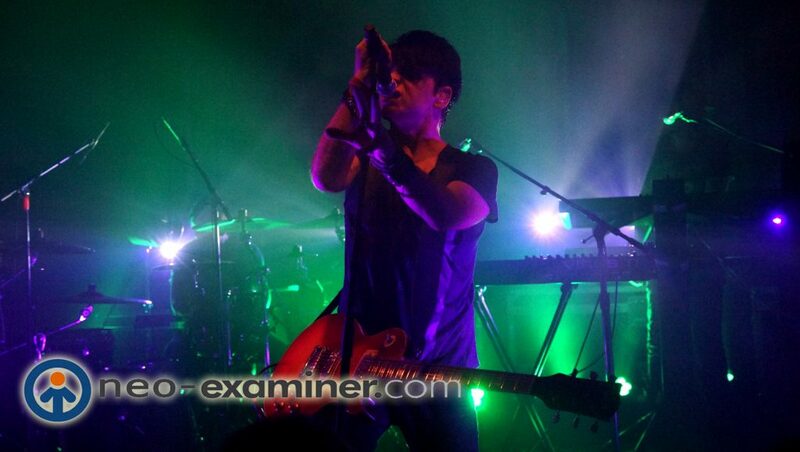 Author EditorMaxMagPosted on April 25, 2018 April 26, 2018 Tags Gary NumanLeave a comment on Five Reasons You Must See Gary Numan Live In Concert ! 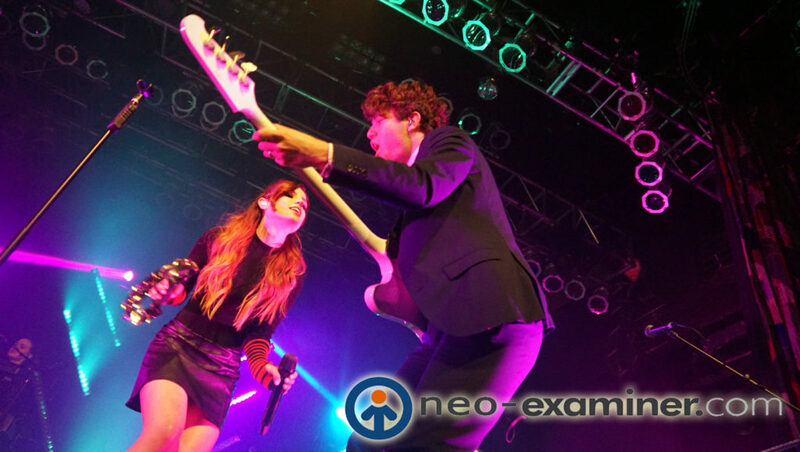 Live Review – Five Reasons Echosmith Represent The Best In Rock N’ Roll ! 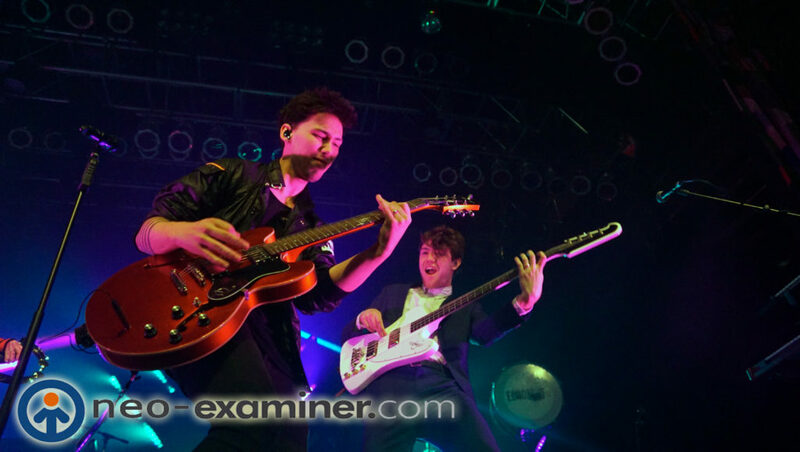 Cleveland , Ohio – The indie based rock band Echosmith are currently on a spring tour in support of ” Inside a Dream ” and stopped by Cleveland this week . 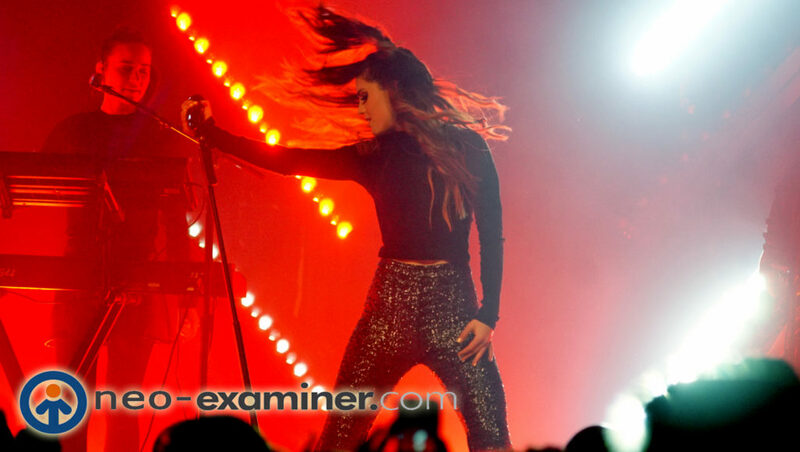 In celebration of a great performance at Cleveland’s’ House of Blues we decided to list the five reasons Echosmith represent the best in rock n’ roll . The band has been around since 2009 and features three siblings working together to create music and accomplish their dreams. In a day and age of the modern generation claiming entitlement without hard work this band shows you that hard work , determination and drive along with talent will get you to the top. I have watched Echosmith grow from a small kid band with just a few people watching them , to a mature musical group with a large following .Along the way they have developed a loyal following to which they are thankful for . I have seen the band stop on the red carpet at the Alternative Press Music Awards to sign autographs and pose for selfies with the fans . Not to mention when they were on Warped Tour appearing at their merch tent mingling with the fans, this band understands how to make each person feel special and be part of the magic and that moments like that last a lifetime. The team behind Echosmith features the parents in active roles in touring and in creating the band that is Echosmith .The positive influence of family is an important factor as one looks to to their own life and surroundings when creating music and that shows true in Echosmith. The release of ” Inside A Dream EP ” along with the single ” Over My Head ” added a musical arsenal to an already full back catalog of great songs. Some of my favorites included ” Get Into My Car ” , ” Future Me” and ” Come Together “. all of which were played live . The mega hit ” Cool Kids ” rounded out the set along with some select covers . Here is where the drive and talent payoff . 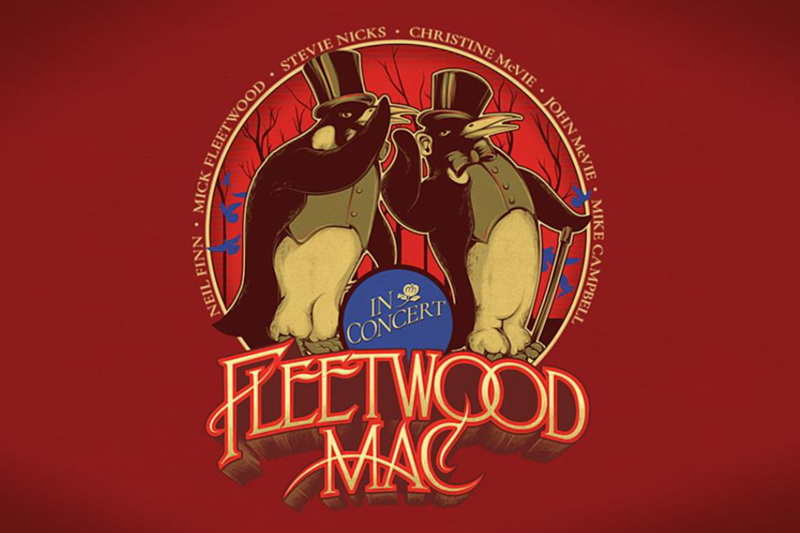 This band performs like a band that had been headlining for the last twenty years instead of singer Sydney Sierota turning 21 this weekend .The stage show , musical ability and audience connection during the show , makes this band true rockstars in every sense of the word. The band is multi talented with almost every member playing multiple instruments , not just pretty faces without substance. If you want two hours of pure fun along with gourmet food for the ears check out Echosmith live in a city near you . 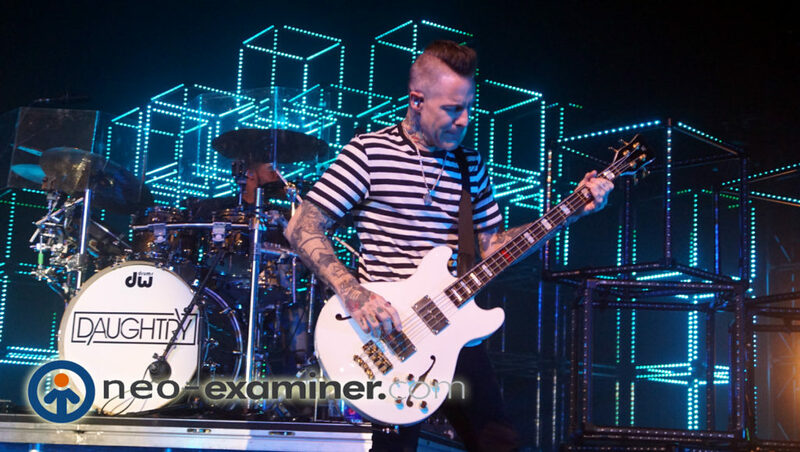 Author EditorMaxMagPosted on April 22, 2018 April 22, 2018 Tags alternative press music awards, APMAs, echosmith, Jena Rose, The Score, warped tourLeave a comment on Live Review – Five Reasons Echosmith Represent The Best In Rock N’ Roll ! 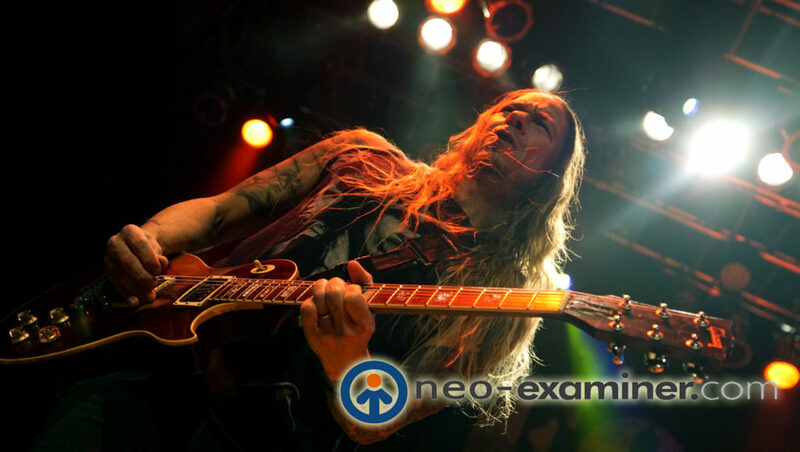 One of the best metal acts to come out of the 1980’s returns to prove why he is one of the best ! 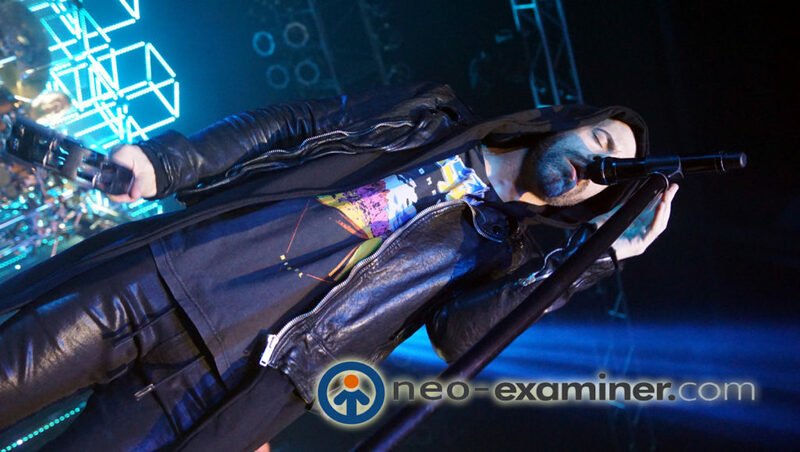 Live Review – Five Reasons You Must See Daughtry Live ! Daughtry live on stage . 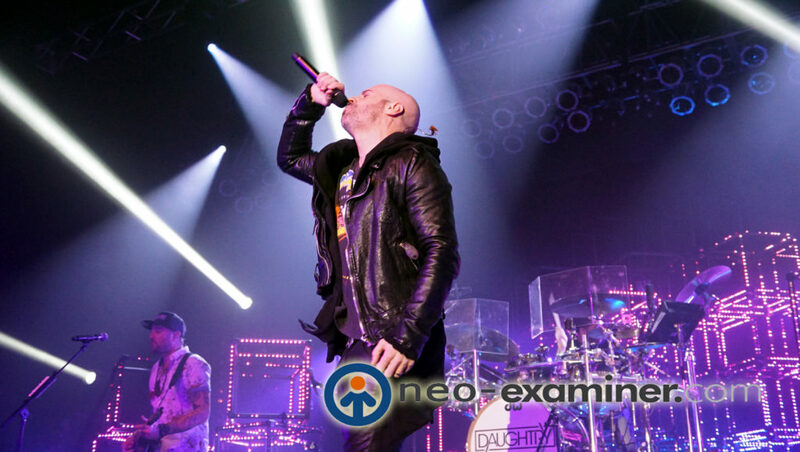 Northfield, Ohio- The seminal rock band Daughtry performed this last week at the Hard Rock Rocksino to a thrilled audience so we decided to list the five reasons you must see Daughtry live . Daughtry has such a huge fan base that covers all age groups and locales.I met fans that drove from over four hours away .In addition complete strangers opened up about their love of the band and what the songs mean to them and how they became fans of the band . After talking to fans that spent the extra cost of a meet and greet , they all said it was worth it . The band was gracious to meet them and they felt they made the personal connection with the band and now it made the music that much more special. The band has been around for about a dozen years with the soon to be released fifth studio album .The history of two number one albums and successful tours playing in front of millions of fans make this a legacy that cannot be denied. The songs and the intimacy they project into your soul really soften the hardest heart .It is almost as if the pain and sorrow and joy and love that you have experienced in your life ,the band was able to somehow see and turn into hit songs . There is something for everyone , and for some of us it can personal . I saved the best for last for a reason . Daughtry takes you back to when a show was a show , the stage performance, the blistering guitars and the vocals of Chris Daughtry make this the best reason to see them live. The band gives 100% of themselves on stage and you can feel it in the air .The set was almost twenty songs including new material such as ” Just Found Heaven ” , ” Back In Time ” and ” Backbone ” with their hits and select covers thrown in for good measure.The band is a well oiled machine and contrary to what you may think this is not a solo project for namesake Chris Daughtry .This is a band in every sense of the word and one that must be seen. 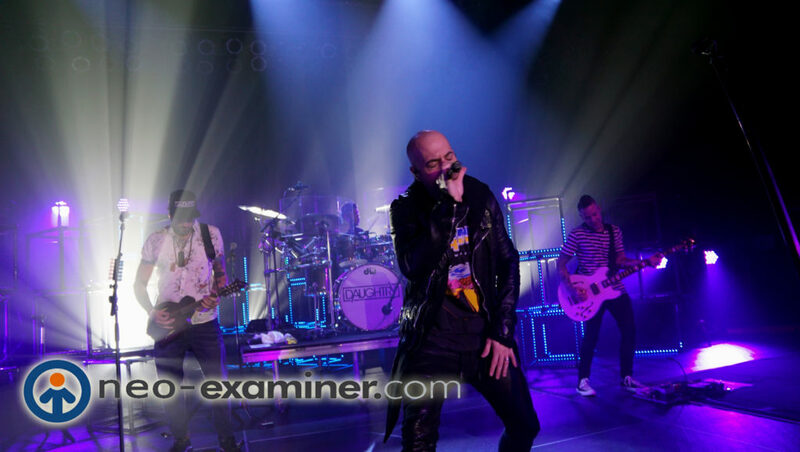 Author EditorMaxMagPosted on April 14, 2018 Tags Daughtry1 Comment on Live Review – Five Reasons You Must See Daughtry Live ! 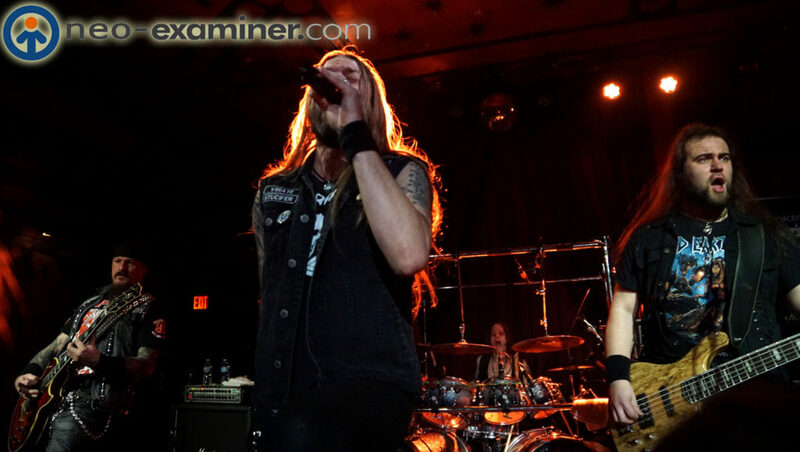 MADAME MAYHEM ANNOUNCES U.S. TOUR WITH SEVENDUST! Headline date is May 13 – Mentor on the Lake, OH – Music Lynxx ** be there ! 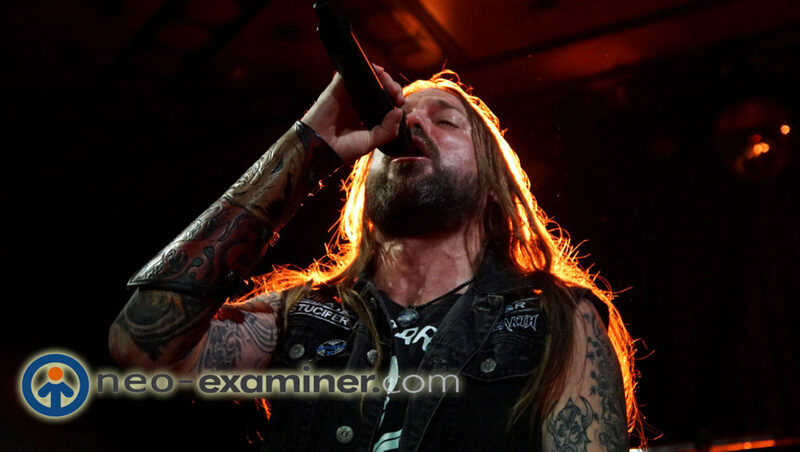 Undoubtedly one of the top hard rock tours of the springtime will be the teaming of Sevendust and Madame Mayhem on a trek throughout the U.S. – beginning on April 21 in El Paso, TX, and wrapping up on June 1 in Sioux City, IA (with more dates coming soon). A true rocker with an eclectic style in every aspect of life, Madame Mayhem merges theatricality with hard-hitting, rocking tunes. And paired with Sevendust, this bill will certainly be one hot ticket. 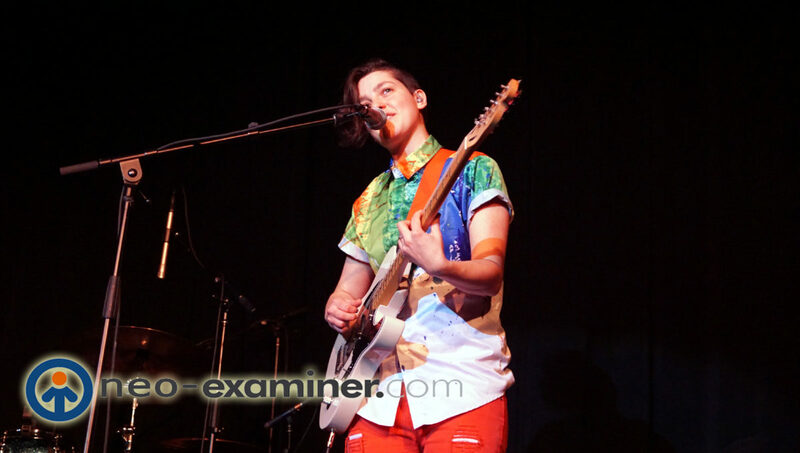 The singer has performed across the United States to packed rooms, including B.B. 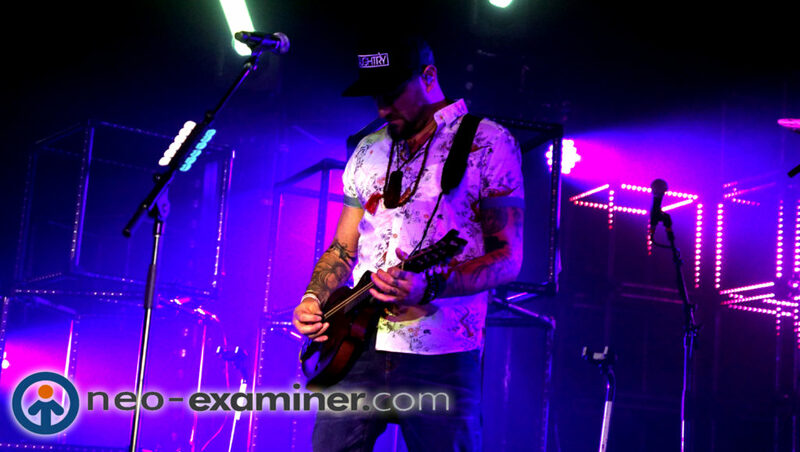 King Blues Club, The Roxy, The Viper Room, Bowery Ballroom, Knitting Factory, a residency at The Cutting Room, the Bluebird Café during Grammy nomination week, Shiprocked Cruise 2017 and 2018, Sunfest 2017, Sturgis Buffalo Chip 2017, and has performed on national tours with renowned and respected artists such as Doro, Mushroomhead, and just completed extensive tour of Europe with Fozzy. Madame Mayhem has been covered in both fashion and rock music media worldwide, which includes feature coverage in Aquarian Weekly, Brave Words, Fashion Style, Gannett, Guitar World, KNAC, Loudwire (her music videos have been top 10 for multiple weeks), New Noise, Revolver, The Day In Rock, listed in ROCKwell UnScene Magazine’s top 5 Best Female Vocalists of 2016, and more. Additionally, she made most added on the CMJ Loud Radio Charts with over 60 stations nationally in the United States. Also, she has been mentioned in Modern Drummer and is on the latest cover of Black Velvet Magazine. Soon, lucky U.S. fans will get the opportunity to experience Madame Mayhem on a nearby concert stage – with Sevendust! Author EditorMaxMagPosted on April 12, 2018 Tags MADAME MAYHEMLeave a comment on MADAME MAYHEM ANNOUNCES U.S. TOUR WITH SEVENDUST! 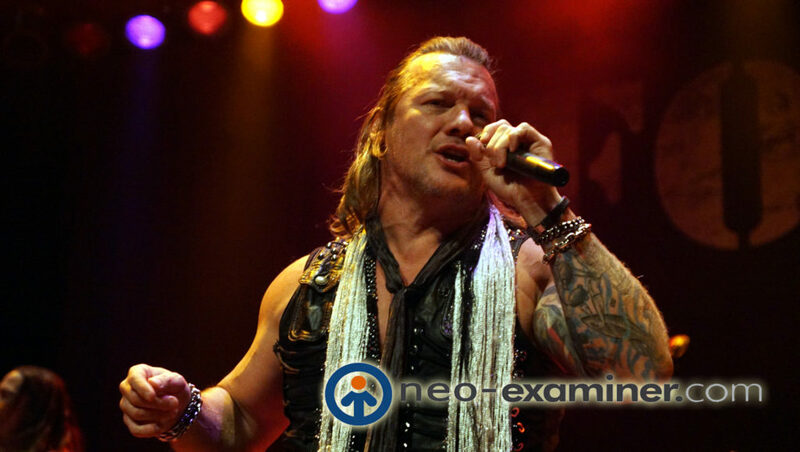 Chris Jericho Brings Fozzy and Judas Rising Tour to Cleveland ! 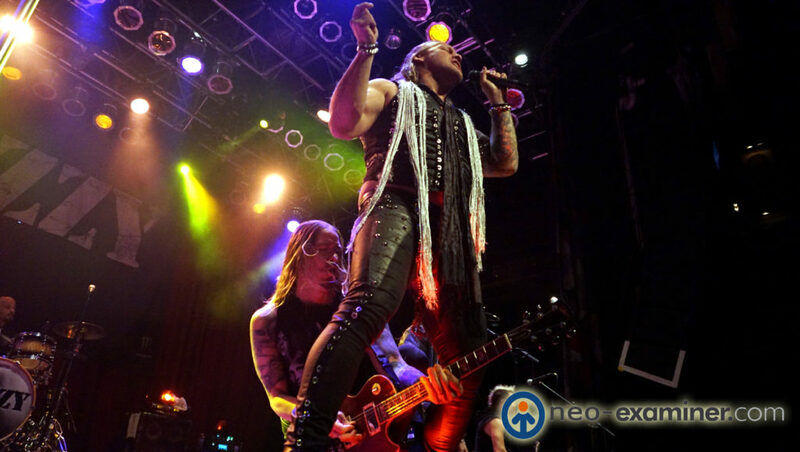 Cleveland, Ohio – The intimate atmosphere of the Cleveland’s House of Blues was the perfect venue to host the return of ” Fozzy ” on their Judas Rising tour. I first heard of ” Fozzy ” about 18 years ago watching WWF as my ex was a fan of Chris Jericho and demanded I by their CD for her. I ended up actually playing it more then she did and that started the our musical fates being intertwined.I ended up meeting guitarist Rich ” The Duke ” Ward in 2006 as I was assigned to photograph his band ” Stuck Mojo ” at the time and few years later at NAMM in California.The point of this back story is simple , if you are involved in the metal community , one way or another you will run head first into ” Fozzy ” and for that you will be forever changed. 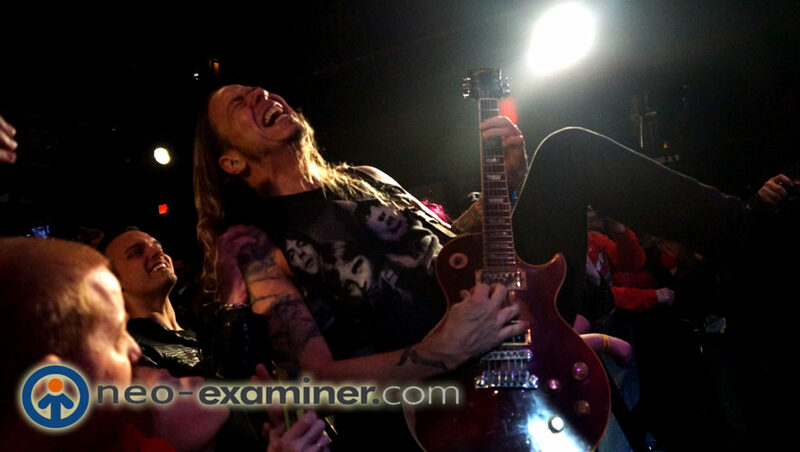 Fozzy guitarist Rich Ward gets personal with the fans . Local legend and 1988 frontman Alex Schreckengost in the audience helping hold him up . The evening started like any other rock show , the house lights dimmed, the intro music started and the band hit the stage. 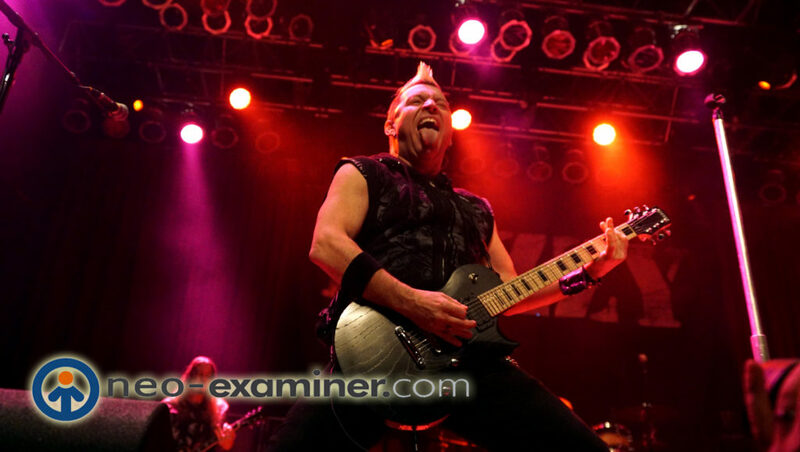 Here is where the difference between ” Fozzy ” and most other bands differ . They do not play to the fans , they act as if everyone in the audience is a part of the band and they are playing for their friends.That difference created one of the best performances I have ever seen, the comradery on stage that filtered out to the audience created a sonic feeling of joy. It was almost of if happiness was blasting out the the speakers instead of songs. The best was yet to come . 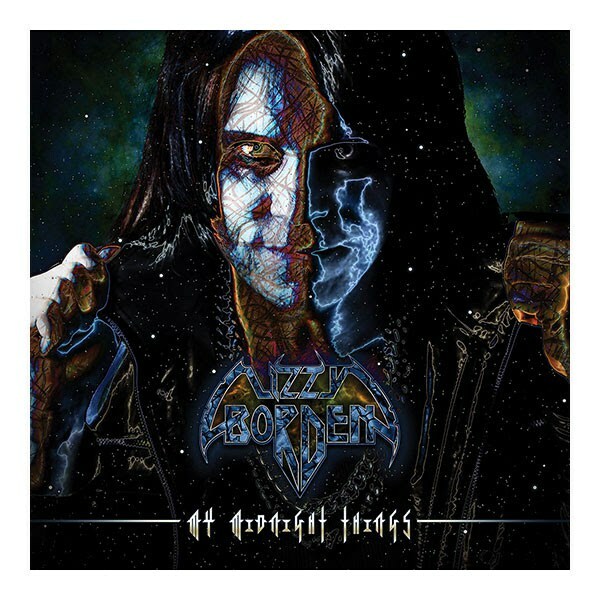 Judas is the seventh studio album by the American heavy metal band Fozzy. It was released on October 13, 2017 through Century Media Records. The album’s title track was released as the lead single from the album on May 5, 2017. Ahead of the album release, two additional songs were made available on streaming services: “Drinkin’ with Jesus” on September 15, 2017, and “Painless” on September 29, 2017. The lead single was a radio hit, spending 26 weeks on the Mainstream Rock chart and peaking at #5. The song also hit #1 on the Sirius/XM Octane charts. 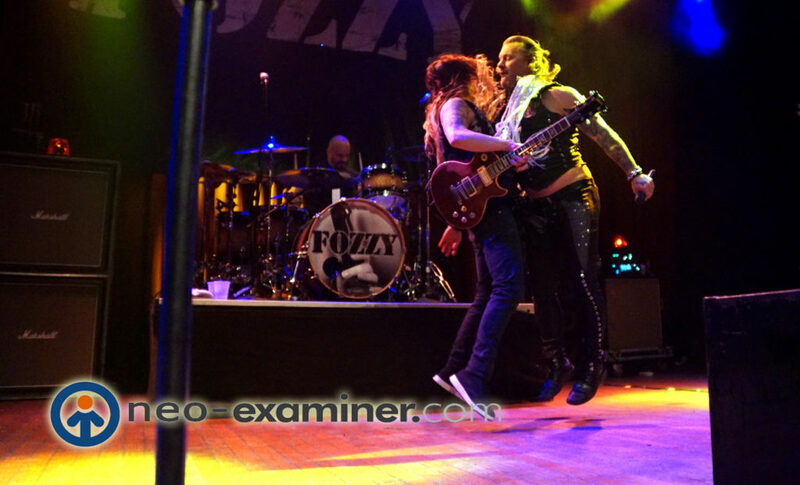 Fozzy on stage chest bumping . 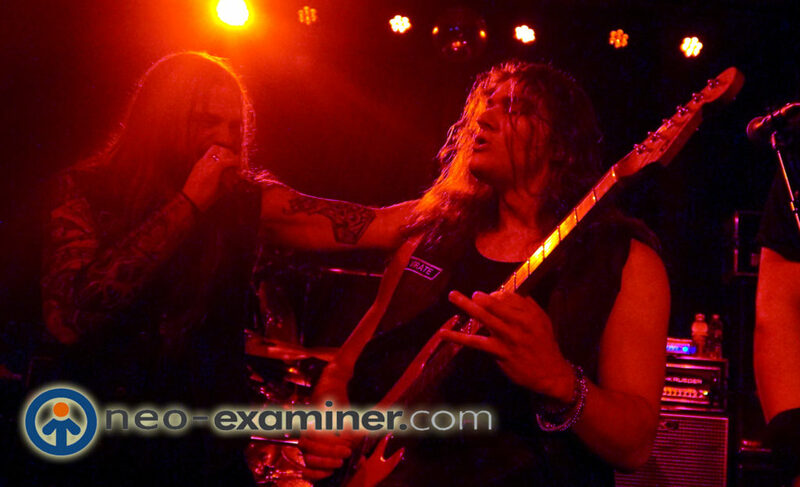 Cleveland, Ohio – The intimate atmosphere of the Cambridge Room created not only a standing room only scenario for the Iced Earth performance it also brought back the memories of early 1990s metal shows , when it was great to see huge bands in a small club . 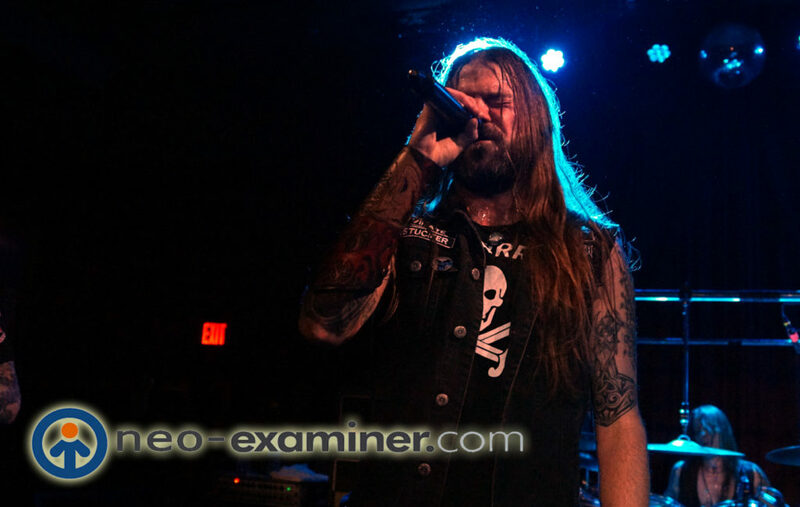 The fans of Iced Earth I met were almost cult like in their devotion , I saw tattoos of Iced Earth on several fans , talked with fans that came from all parts of Ohio including Detroit , Pittsburgh and Buffalo . 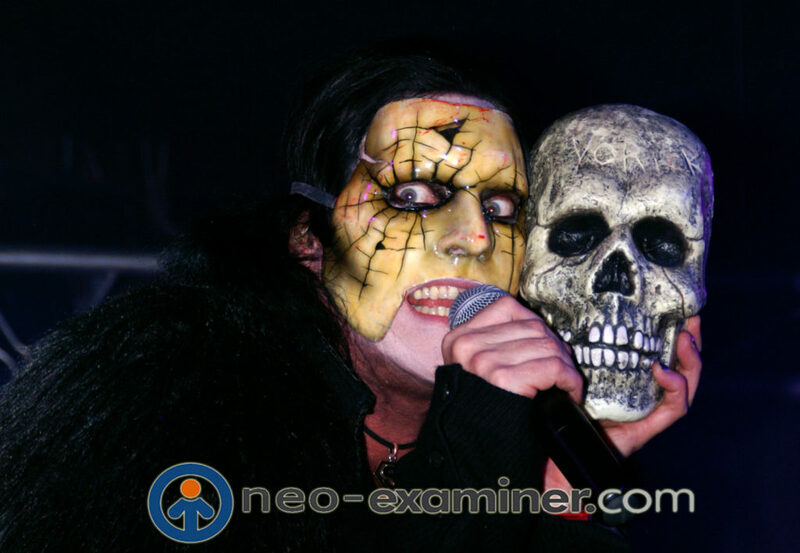 The band has had multiple lineup changes like any company with the lone original member Jon Schaffer being last man standing . The unique aspect of this is that the fans almost universally agree this is their favorite line up . The opening song of the night was ” Great Heathen Army ” and I was intrigued by the fans as well of the band . This is the first time in a long time that I saw a complete audience mouthing the words along with the band . After I saw that I knew I was in for a night that was going to be full of surprises.I have not witnesses that since I was ” Pantera ” on the ” Cowboys From Hell ” tour . Up next was ” Burning Times ” and with this the musical onslaught continued as I watched fathers and sons headbang together. 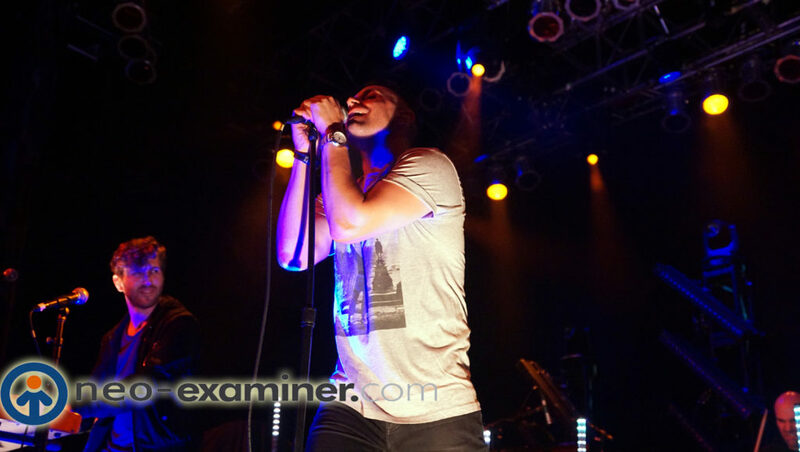 ” Dystopia ” was a great song with anthemic undertones both powerful and subtle all rolled into one . The night continued with a mix of both old and new songs from 2017 ” Incorruptible” release . One of my favorites of the night was the encore number ” Clear The Way ” . 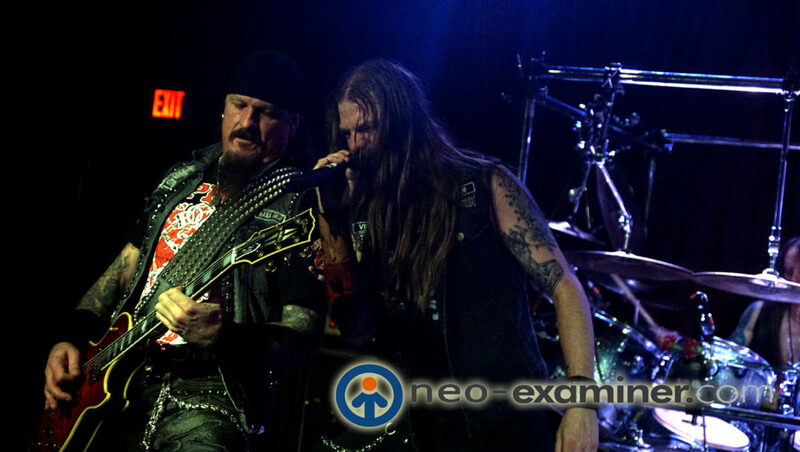 The current line up of Iced Earth is composed of rhythm guitarist Jon Schaffer, lead singer Stu Block, bassist Luke Appleton, drummer Brent Smedley, and lead guitarist Jake Dreyer.